There's a new MacBook Pro keyboard design in the models introduced today. Editor’s note: There’s fresh evidence that the new MacBook Pro keyboard actually does address the problems experienced by some owners. The MacBook Pro models just introduced include faster processors and better displays, but the most important new feature might be the keyboard. This has been redesigned, hopefully to fix serious problems that plagued earlier versions. The “butterfly” keyboard in MacBook Pro models since 2016 have sparked a well-publicized recall petition and multiple lawsuits. This makes the reliability of the keyboard in the new devices a critical matter. Apple promises that the just-announced MacBook Pro models include an “improved third-generation keyboard for quieter typing.” Nothing was said about reliability. The company went into no details on how the design was changed, but a patent request the company filed on March 7 may well show the new mechanism. The application is for “Low-Travel Key Mechanism Using Butterfly Hinges,” and it was made public the day the 2018 MacBook Pros were announced, so it’s probably the design in the latest macOS laptops. There are easily-spotted differences between the new and old design, giving hope that Apple has ironed out the reliability problems. Note the differences in the two “butterfly” keyboard designs. However, this is not a return to the classic “scissor” keyboard design that proved its reliability for decades. Instead, Apple is sticking with an updated version of the “butterfly” design. 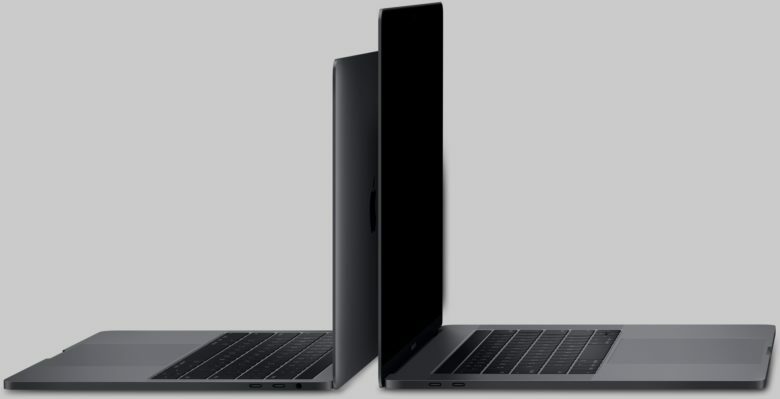 Mostly because it’s thinner, helping MacBook Pro models be more slender. In the previous versions of the butterfly keyboard, the mechanism under each key can become fouled by even tiny pieces of grit. When this happens, “Letters or characters repeat unexpectedly, Letters or characters do not appear, Key(s) feel ‘sticky’ or do not respond in a consistent manner,” according to Apple. Pressure from users of these laptops finally forced Apple to admit last month that the keyboard has problems. The company will refund the cost of repairs to this component, but won’t extend the warranty. We reached out to Apple with questions about the redesigned MacBook Pro keyboard, but they didn’t respond in time for this article. So only time will tell if this latest redesign of the MacBook keyboard has well and truly fixed the problem.